Personal Capital and Acorns are two online investment platforms that combine cutting-edge robo-advisor technology with financial tools. These two platforms target different types of investors. Personal Capital has an account minimum of $100,000 and is known for its hybrid model, meaning automated investment management plus access to human advice. Acorns targets young people who have little money and who are new to investing. College students with .edu email addresses are able to invest for free for four years. Acorns rounds up transfer amounts from linked cards so that people can benefit from investing their change. For example, if a person makes a purchase that includes some change, the purchase amount will be rounded up to the next dollar, and the change will be invested. Both of these platforms offer ways to help investors who are at different ends of the investment spectrum. But which is right for you? 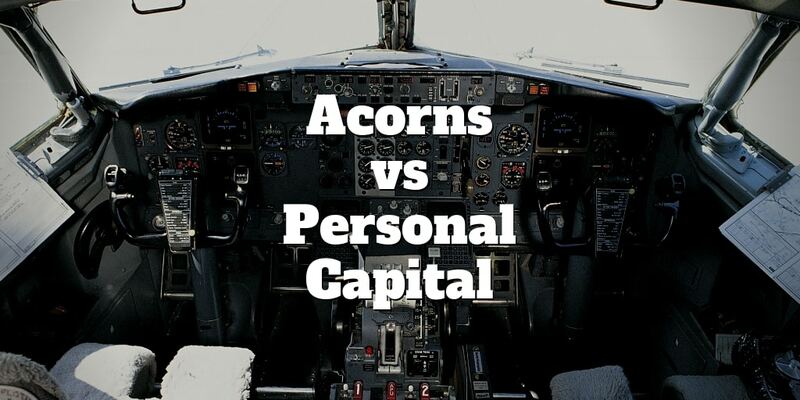 We compare Personal Capital vs Acorns to help you decide. Which Robo-Advisor Puts Most Money In Your Pocket? How Does Acorns and Personal Capital Invest Your Money? Which Company Gives You Better Support? Does Personal Capital Offer The Better Mobile Experience? The robo-advisor that might be right for you will depend on your starting point and the features that you want. Personal Capital focuses on individuals and investors with a high net worth and who want to take a hands-off approach while benefiting from tax-optimization strategies and free tools for financial management, the features are somewhat different than those offered by Acorns. Investors with $100,000 to $200,000 in their accounts are given access to both a robo-advisor as well as a team of human advisors. Individuals with account balances of $200,000 or more are assigned a dedicated team of two financial advisors. Acorns does not have an opening account balance, and investors can start investing with as little as $5. The fees that you will be charged when you invest with Personal Capital or Acorns also differ. Personal Capital does not charge any account fees. However, it does apply account management fees that depend on your account balance. For investors with account balances of $100,000 to $1 million, the Personal Capital account management fee is 0.89%. Investors who have account balances of up to $3 million are charged fees of 0.79%. Accounts with balances of up to $5 million are charged account management fees of 0.69%. Up to $10 million have account management fees of 0.59%, and those with balances of more than $10 million have account management fees of 0.49%. For college students who register with their .edu email addresses, Acorns does not charge any account management fees for up to four years. No account fees are applied either. If you are not a college student or have already completed your college education, management fees will depend on the types of accounts that you have. Acorns charges a flat $1 per month fee for its Acorns Core taxable investment account. If you have an IRA with Acorns Later, you will pay a $2 monthly fee. Want to use the Acorns Spend account that offers check writing and debit card features? You will pay a monthly fee of $3. An appealing feature of Acorns for young people is that it does not cost anything to open an account. Plus, the investment minimum is only $5. This can be a good way for you to start saving and investing when you are young and do not have much money. By the time that you finish college, investing your spare change through the purchases made on linked cards could grow into a nice pot of money. Personal Capital is designed for people who have a higher net worth and a large amount of excess cash to invest. The account minimum to open an account with Personal Capital is $100,000. The deposit can be made through a rollover from another account or a transfer from another brokerage firm as long as it is at least $100,000. >> Should You Choose Vanguard or Personal Capital? Personal Capital does not manage 401(k) or 529 plan allocations, but it will offer advice on these types of accounts. Acorns is limited as to the types of accounts that it manages for investors. With Acorns, you can get support for individual non-retirement taxable accounts, traditional IRAs, and Roth IRAs. Personal Capital offers tax-loss harvesting if you have a portfolio with a mix of exchange-traded funds (ETFs) and stocks. It also offers tax-loss harvesting on a limited basis if your portfolio is made up of 100% ETFs. Tax-loss harvesting is a tax strategy that involves selling losing positions and replacing with similar securities to lower your tax bill. This helps offset the taxes that you might have to pay on your income and your gains. It can result in significant tax savings. Acorns does not offer any tax strategy assistance for investors who use the platform. Personal Capital is known for its hybrid approach to investing with its robo-advisor services and its human financial advisors. If your account has a balance of less than $200,000, you will be able to talk to a team of advisors anytime of the day. With an account balance above $200,000, you will have two dedicated human advisors available to you. There are also some certified financial planners available through Personal Capital. Acorns does not offer a human advisor option. It relies solely on computer algorithms to maximize your returns based on your capacity for risk. Acorns offers a nifty tool to investors called the Potential tool. It allows you to adjust the amount of money that you invest so that you can view how your investments might grow as time passes. In addition to this tool, Acorns offers a wealth of educational materials that are designed for new investors. These include clear definitions of financial and investment terms and Grow Magazine, which offers financial advice that is geared toward millennials. Content from Grow is also available through the Acorns mobile app, allowing you to get information about student loan debt, side gigs, and more. Personal Capital offers many free tools that you can access without having to sign up for its advisory services. You can access them by creating your own login credentials. You can then link your brokerage, bank, and credit card accounts to receive a free analysis of your investments, spending, and more. Personal Capital offers a number of different asset classes and customizable portfolios to its investors. Portfolios can be customized on an individual basis according to your time horizon and risk tolerance. Personal Capital offers investors 24/7 access to advisors. Customer support is available by telephone and email. If your balance is greater than $200,000, you will also enjoy access to two dedicated advisors. Acorns offers robust customer support options. You can contact customer support by email, phone, and online chat. The response time can take up to 48 hours. For answers to most questions, Acorns also provides a wealth of easily accessible information online. Both Personal Capital and Acorns offer a mobile app for Apple and Android devices, including tablets, smartphones, and smartwatches. The apps are free and give users the ability to monitor and track their investments 24/7. The Acorns app also provides access to helpful financial information for those looking to increase their understanding of various topics. 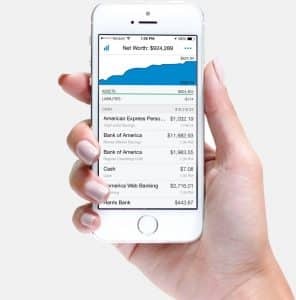 One of the best features of Personal Capital’s award-winning app is a tool that gives users the ability to set monthly spending goals and easily track their progress. The best robo-advisor for you depends on where you are at with investing. If you are new to investing, are young, have little money, or are a college student, Acorns is the better choice. Acorns can help you learn the ropes of investing while allowing you to enjoy an automated process so that you can grow your money without thinking about it. Personal Capital is a better choice if you have already amassed sizeable savings and investments and can deposit at least $100,000. Whichever robo-advisor you might choose, making investing and savings a routine part of your life is important. When you invest regularly through a robo-advisor, you can grow your investments and work toward achieving the degree of financial independence that you want. Overall, Personal Capital is the winner here because of its wealth of tools, availability of different asset classes, customizability of portfolios, and the availability of human advisors. The bottom line is Personal Capital is designed to meet the needs of seasoned investors looking for tax strategies and other tools for advanced investing. ‹ Could Selling Aluminum Cans Make You $50 Daily?